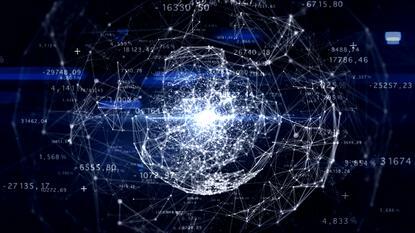 "IoT isn’t just about ‘big’ data – it’s also about small data that drives big outcomes." Hitachi Data Systems has completed its acquisition of Pentaho, a data integration, visualisation and analytics company. Under the terms of the acquisition agreement, Pentaho will retain its existing brand and continue to operate independently as ‘Pentaho, a Hitachi Data Systems company’ under the leadership of its CEO, Quentin Gallivan. Also, Gallivan will now report to Kevin Eggleston, senior vice president of Social Innovation at HDS. The Pentaho platform will continue to be offered independently and has been integrated by HDS into its advanced analytics foundation software, designed to 2enhance the company’s existing big data analytics and processing technologies and extend the capabilities of its broader information management product and services portfolio. “We are delighted to officially welcome Pentaho to the Hitachi family,” Eggleston adds. “Their data analytics, visualisation and integration platform is an integral part of our advanced analytics foundation, which is the engine that powers Hitachi Social Innovation solutions. According to Eggleston, HDS is a rapidly emerging global leader in the Internet of Things (IoT), operational technology, big data and machine-to-machine (M2M) analytics. Through its integration with the Pentaho platform, HDS is now extending its data integration, refinement, monitoring, management, and orchestration capabilities to deliver an incomparably sophisticated data analytics stack. “IoT isn’t just about ‘big’ data – it’s also about small data that drives big outcomes,” adds Vernon Turner, senior vice president of Enterprise Systems and fellow for The Internet of Things, IDC. “Hitachi Data Systems recognises that distinction, and is building a robust analytics framework that uniquely combines Hitachi’s formidable industrial, societal and business expertise with its rich portfolio of data infrastructure and analytics solutions. Through its strategic acquisitions of oXya, Pantascene and Pentaho, Eggleston says HDS is accelerating its Social Innovation vision and IoT product roadmap.